To start, let’s talk budget. For beginners, our opinion on price and money include finding a balance between something worth keeping as a long-term investment as well as a bass that isn’t going to cost an arm and a leg as we first start — it’ll just be unnecessary for now. 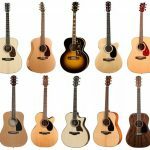 When it comes to musical instruments in general however, price starts to get cloudy because we know many professional musicians who use guitars that aren’t the priciest in the world — it all comes down to the feel and sound you’d like to achieve, and honestly, money doesn’t always determine that. 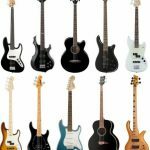 We found a few picks for beginner bass guitars in different price-points to help with options in case you want some. Next up, we have one of the more important questions here: what type of bass guitar are you looking for? We’ve seen a very common acoustic vs. electric bass debate. The main difference will not only be how it feels to play, but most importantly, how it sounds. The overall tone of each is extremely different, with their titles being relatively self-explanatory — for acoustic, think comparable to acoustic guitars (some also say an advantage with acoustic-electric bass guitars are their ability to played without having to use a speaker and amp), with electric being powered by an external source and having that classic, ‘electrical’ sound many are familiar with. 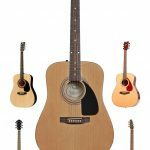 This acoustic and electric bass video gives us a preview of the different ‘sounds’ both types of bass guitars can give us if you want some more help envisioning what you want. At the end of the day, we do know many bassists who down the road have a couple of both! But for just starting, this will be a big decision for you. What is your size as a person? Or perhaps age? These questions will start to get into the realm of how a bass guitar ‘fits’ and ‘feels’. Our father who has been playing for nearly 50 years always recommends actually holding a guitar before you buy it — if you can, we do back this up as opposed to buying on the internet. However, if you’d still like to purchase a bass online or perhaps this is a present for a friend or child, try to keep in mind these few factors: For those who are ‘smaller’ or ‘younger’, look for a ‘thin neck’, ‘short scales’, and an overall light weight. Those who are tall or have bigger hands than others will benefit from the contrary — ‘wider necks’, ‘longer scales’, and can suffice with a heavier bass. What string count? We will always recommend sticking with the traditional 4-string bass guitar, especially if you’re just starting out. These not only have much narrower necks than other string counts, but are tuned traditionally in the standard E-A-D-G format to help you learn optimally. If you do want to go higher in string count, be our guest — there can be some benefits, such as which style you intend on learning (which we speak of later on below). Certain styles such as country or worship music typically have songs that are rooted in B which can be favorable with 5 string basses (their tuning changes to B-E-A-D-G). Lastly, let’s get into something slightly more subjective than measurements, types of bass or strings — how about the style of bass play you envision wanting to learn? Rock, punk, metal, jazz, all of the above? For rock, punk or metal, an electric bass will always help. Jazz or other styles of music that entail a lighter, warmer sound go acoustic-electric. Or perhaps you have no idea and want to figure this out later — don’t worry for now. 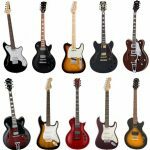 You can change your style regardless of bass guitar (although something such as an acoustic-electric vs. electric will begin to limit what ‘style’ you go after, especially something such as jazz or bluegrass on an electric — that might be tough). For our pick, we have the Squier Affinity, which is in our opinion the best bass for beginners if you’re looking for a combination of overall bass quality, a learning curve for the future, and bang for your buck when it comes to an investment for the long-term. Reviews rave about this one for its sturdy three-ply pick guard, “PJ” pickup configuration (standing for Precision and Jazz), and overall value considering the price and quality you’re getting in this one. In terms of build, the Squier features a contoured solid alder body, which is the same style of choice from some of the greatest bassists ever. You’re getting our recommended 4-string count and ‘not too big or small’ of a size and weight. It also comes with die-cast tuners to provide easy tuning and stability — both key components for beginners. The headstock has the classic ‘70s “big” feel, along with a vintage 6-screw rocking trem. The alder body is very stable and the maple neck plays fairly fast (34″ scale length), but also feels good enough to where it’s not too quick for beginners. The Squier Affinity‘s “C” shape and 20-fret rosewood fingerboard feels quite nice when playing, and isn’t too ‘small’ or too ‘big’ to meet halfway in the middle for an ‘average sized’ person. Top this off with finishes that include a polyurethane neck and body, and you’ve got a solid build for not only comfort while playing but longevity knowing this bass guitar will last you years, well into your non-beginner stages and more. When it comes to sound, this bass definitely does not disappoint. The Affinity has a pure vintage tone which comes out of 3 single-coil pickups, taking on flavor of classic rock tremolo mixed with 5-way switching. To give us even more versatility in terms of ‘styles’ available to learn and we described previously as the “PJ” configuration, it comes with a nice Jazz Bass bridge pickup as well as the standard split single-coil Precision Bass pickup for some options at different available bass tones. Even better, you have separate volume controls for each pick up on the bass itself — volume 1, volume 2, and master tone. 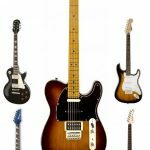 The Squier may be best for someone who is trying to learn how to play, but doesn’t have the largest of budgets, as it sits on the lower price point in the bass realm. It’s available in quite a few different colors to match your aesthetic preferences and personality as well — Olympic white, black, or race red. If you’re looking for what we feel is an all-around amazing bass especially for those just starting their playing career, the Squier Affinity is our pick. Best uses include practicing, smaller venues, jamming for fun, recording in the studio, and even at larger concerts — you aren’t really limited at all here. 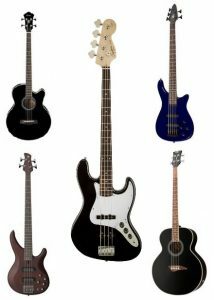 Below are a few other alternatives for beginner bass guitars in case you weren’t feeling our top pick. Reasons could include the overall style, sound, feel, bass type (a few acoustic electrics down below), string count, and more. Let us know in the comments if you have any questions, and of course, congratulations on your new beginner bass journey! Next up we have the Ibanez AEB5E — an acoustic-electric bass that delivers great playability with an attractive design that is also affordable, which made it very close to being one of the best bass guitars for beginners going up against the Affinity. The Ibanez features a 32” scale AEL body, spruce top, mahogany-colored body, and abalone rosette chrome die-cast tuners to give it a nice and clean finish. In terms of feel, it’s characterized by a punchy low-end sound, whether amplified or not, and with the acoustic touch, its agathis body (and sides) gives the bass a warm tone in any setting — home, studio, and gigs. It also comes packed with an Ibanez piezo pickup and Ibanez AEQ-202T preamp, with 2-band EQ and onboard tuners to provide for quick tuning and easy amplification with a natural acoustic sound. The Ibanez AEB5E gives off a warm, low-end resonance sound that make songs come alive many find hard to miss. This model serves as a viable option for beginners, as it provides both unique sound and a moderate price to get going on those beginning bass adventures. Moving on, we have the Yamaha TRBX174, a 4-string, red-metallic electric bass guitar which supplies a great feel, build and modern look for the novice bassist. It combines a comfortable alder body with a fast-action maple neck and sonokeling fingerboard to provide beginners with the necessary tools to be a great bassist. The Yamaha bass also comes with a P/J arrangement of split-coil/single-coil pickups which spit out a strong, punchy tone. 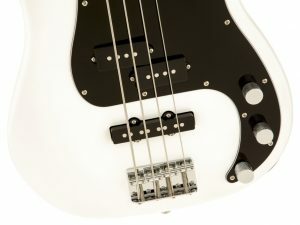 The dual pickups make this model one of the best bass for beginners who want a variety of sounds, as the Precision-style split-coil serves up the deep, solid fundamentals, while the Jazz-style delivers the growl with strong mids and highs — how you want to combine the two together will depend on which tone you want. The Yamaha TRBX174 is a feasible option for starters who don’t have a big budget but still desire quality, as Yamaha has been in the bass game for quite some time. Here we look at another electric model that is a huge favorite by many as the best bass guitars for beginners, the Rogue LX205B. This one has a different option at strings — it’s a 5-string bass guitar features an extended maple neck, a quick and user-friendly fretboard for fleet action. It has a good-looking basswood dual cutaway body which gives it a classic bass guitar look and also comes with a J-style pickup and 2 volume and 2 tone controls. The J-style pickup delivers a good slab of classic tone that can be switched via the 2 volume and tone controls. Although it does have a traditional look, the dual die-cast machine heads and black hardware do give it somewhat of a modern finish. The LX205B also comes with a high-mass adjustable saddle bridge for dependable playability. The Rogue LX205B can provide beginners with a bass that is not only durable but easy to learn on, and serves as a solid all around-package for the price you will be paying. Last but not least, the Dean EAB is another amazing and quite famous acoustic-electric bass. The EAB is a full-sized bass guitar that combines a natural looking spruce top with mahogany body. It produces a deeper, fuller tone which is great for bands or really those who prefer it, as the sound of the deep bass really compliments other instruments. The EAB has a standard 34” scale body and 1-5/8” nut. 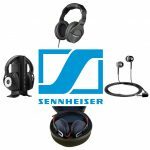 It provides bass that is loud enough for slapping with acoustic guitar players, and has the necessary on-board electronics to let you take it on stage if you’re performing. Although the Dean can be used in any setting, it truly is one of the best bass for beginners when it comes to home recording because it supplies sound that is loud enough without having to worry about connecting it to your amp (and speakers) at home. On the other hand, it does come with a passive piezo pickup system if you choose to go the plug-n-play route. The Dean EAB is also fairly affordable, and if an acoustic bass interests you, this may be the perfect fit.